Conservatorship and Guardianship are major areas of the comprehensive legal services offered by Jim Williams & Associates to our clients in Tennessee and Virginia. Whether one has an elderly parent who needs assistance managing their daily affairs, or a minor child who needs a guardian, we can help. A Conservatorship or Guardianship is established when a court determines that a person cannot make decisions about some or all areas of life. Conservatorship and Guardianship are governed by state law. In general, a Conservator can be a person, institution, or agency appointed by a court to manage the affairs of another. 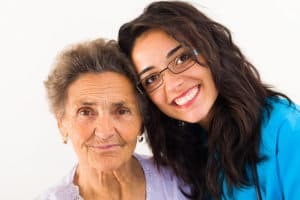 Typically the term Conservatorship applies to individuals age eighteen and older, whereas the term Guardianship refers to minors. The fact that someone has a disability does not automatically mean the individual needs a Conservator. The primary test for determining the need for a Conservator is the ability to make decisions and to communicate decisions once made. The areas of decision making are wide ranging involving living conditions, medical care, managing finances, etc. In order to obtain a Conservatorship, the Court must determine whether a person over 18 years of age needs a Conservator and in what types of situations. The Court will look to see if the person needs someone else to make decisions about personal choices, medical care or finances, because the person is unable to make their own decisions. The Court will also determine whether the person lacks capacity to make decisions and that someone else must make those decisions for the person. When the Court appoints a Conservator, it is the duty of the Conservator to act in the “best interest” of the person appointed for. The interest of the Conservator and others is not a consideration. Any interested party may file a sworn petition for Conservatorship. The petition must include a description of the person’s disability or other reasons setting forth the need for the Conservatorship, and the specific types of decisions for which the Conservator will be responsible. Additionally, a description of the person’s property and income should be attached to the petition. This is important if someone needs a Conservator for financial decisions. Finally, it will be necessary to have a sworn medical examination of the person from a physician, psychologist or psychological examiner. Prior to awarding a Conservatorship, the Court normally appoints an independent attorney as Guardian Ad Litem (GAL) to investigate the situation to protect the rights of the person for whom a Conservator is requested, and to make a report to the Court. If the GAL determines or the Court finds that the person objects to the Conservatorship, the Court may appoint an Attorney Ad Litem (AAL) to represent the person. The AAL will represent the person throughout the legal process. At a final hearing the Court will evaluate all evidence and testimony in reaching a decision as to whether appointment of a Conservator is appropriate. 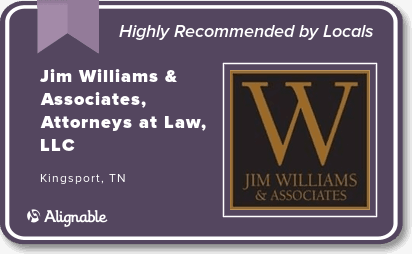 The attorneys at Jim Williams and Associates have helped numerous clients throughout Tennessee and Virginia navigate the legal process and obtain Conservatorship and Guardianship. We prepare the legal documents necessary to petition the court for a Conservatorship or Guardianship, obtain required medical examinations and represent our client before the court at each stage of the proceeding. You will have many questions regarding a Conservatorship or Guardianship and we will be able to provide the answers. Please CONTACT one of our attorneys at our downtown Kingsport office located at 324 Cherokee St. for a FREE consultation and case evaluation from an experienced Conservatorship or Guardianship attorney.